Have you ever really thought about the components of shipping and delivery? Today you can order your groceries online and request home delivery for that evening. You can pre-buy all of your Christmas gifts and avoid the congested malls. On some level you are aware that companies have really enhanced their logistics to provide convenience. But, if you think about how far we have come in terms of demanding and providing that convenience, it’s amazing. And it’s all made possible by very organized shipping and delivery systems put in place and operated by delivery companies like Zipp Express. Here’s a quick look at the history of shipping. Think back to your history classes—way back. Between the 2nd and 14th centuries AD, the Silk Road operated between the Mediterranean and China, exchanging goods between the Roman Empire and Chinese dynasties. Silk, grapes, woolen goods like rugs and curtains, and vases were traded throughout Greece, India, Persia and Arabia. Items were carried in large caravans on the backs of horses and camels, and it took up to two years for goods to reach their destination. That’s a long time to wait for a delivery! Also operating at the same time were Grecian trade routes, shipping items mostly via waterway on merchant ships. Things like marble, Greek pottery, olive oil and wine were shipped from Greece and delivered to locations across Egypt, Asia Minor, and Cyprus. Beginning in the 1600s, the Mississippi River and the Ohio River became major methods of shipping items like fur and food. Steamboats and barges carried tons of freight. Goods were ferried from state to state. Use of the steamboat revolutionized shipping. In the 1800s, the trip from St. Louis to New Orleans took three days via steamboat. Prior to the steamboat, it took four months. The first Transcontinental Railroad was completed in 1869, and rail systems continued to grow across the contiguous United States. Many lines were laid across the agricultural Midwest and the industrial Northeast, designed to reduce shipping time and costs. Things continued to get easier, and in the 1900s, containerization became a popular method of shipping on trains and trucks. Congress passed the Motor Carrier Act in 1935, allowing regulations for interstate commerce, and today an estimated 15.5 million trucks are in operation and used for shipping. Today, almost all of the world is connected by various modes of shipping: trucks, trains, boats, and airplanes all play a part in the logistical systems that deliver items from businesses to consumers. Thankfully, it no longer takes two years for global deliveries or four months for interstate deliveries. 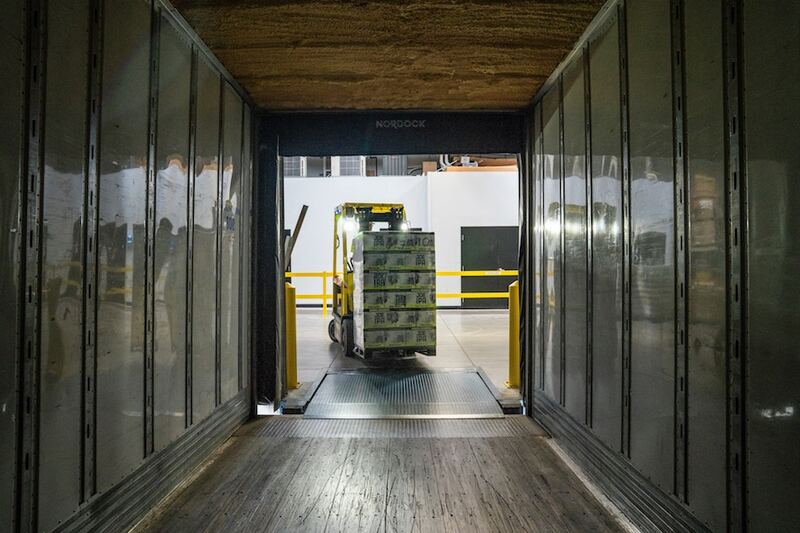 Shipments can reach their destination in the same day in some cases, and at the very least, shipments can be expedited to accommodate time-sensitive delivery needs. What’s even better, companies like Zipp Express can handle everything in the area of shipping, delivery, and warehousing. Zipp Express will receive a shipment from a transportation hub and provide final mile delivery, and additionally supply white glove or specialized services if necessary. The Zipp Express team is focused on customer service, on-time delivery solutions, and professionalism. Contact us today to handle any of your shipping needs!